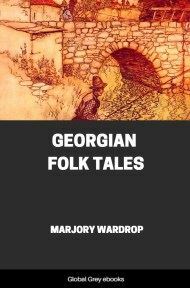 This is a collection of folk tales from the nation of Georgia by Marjorie Wardrop. 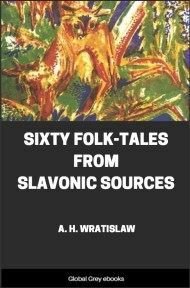 Many of the motifs of these stories are also found in other European folklore. 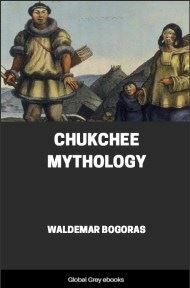 Comprised of three parts: Georgian Folk Tales, which includes such stories as: The Good-For-Nothing; The Frog's Skin; Fate; Ghvthisavari (I Am Of God); The Serpent And The Peasant; Gulambara And Sulambara; The Two Brothers; The Prince; Conkiajgharuna; Asphurtzela; The Shepherd And The Child Of Fortune, and more - Mingrelian Tales, which includes stories such as: Kazha-Ndii; The Story Of Geria, The Poor Man's Son; The Prince Who Befriended The Beasts; The Cunning Old Man And The Demi; Sanartia; The Shepherd Judge, and more - and, Gurian Folk Tales, which includes such stories as: The Strong Man And The Dwarf; The Grasshopper And The Ant; The Countryman And The Merchant; The King And The Sage; The King's Son; Teeth And No-Teeth; The Queen's Whim, and more. Now this devil had other children to bring up on the same conditions; and, since in a year children change so much that their parents may no longer know them, the devil always had the best of it. The peasant knew nothing about this; he agreed to the proposal, and went home. A year passed by, and the father of the child came to the devil; he did not find the devil at home. He saw in the courtyard a multitude of boys, and looked again and again, but could not recognise his boy. He was sad. However, his own son came up and knew him. Then the boy said: 'Presently my instructor will come; he will turn us all into doves, and we shall fly away; in the flight I shall fly before all, and in the return I shall be behind all; and when my master asks thee which is thy son, thou wilt point to me.' The peasant rejoiced, and awaited the master with a hopeful heart. In a little while the master appeared. He called his pupils, turned them into doves, and ordered them to fly away. The peasant's son flew before all, and when they returned remained behind. The master inquired: 'Now, dost thou know which is thy son?' The peasant pointed him out. The devil was enraged when he perceived the trick his pupil had played him, but what did it matter! The boy left him. The father went and took his son with him. They came to a place where nobles were hunting: some greyhounds were pursuing a hare, but they could not catch it. The boy said to his father: 'Go thou into the wood, raise a hare. I will turn into a hound, and will seize it before the eyes of these nobles. The nobles will follow thee, and will be anxious to buy me. Ask a high price, and sell me to them. Then I shall seize the first opportunity to escape, and overtake thee on the road.' 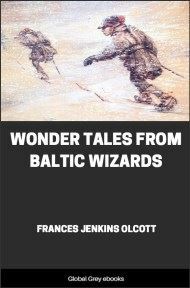 The father went into the wood and started a hare; his son turned into a hound, pursued the hare, and, just before the eyes of the nobles, he pounced on it. They crowded round the peasant, and insisted upon buying the dog. The peasant asked a high price, which they paid in exchange for the hound. The nobles attached a cord to the dog, and went away. When they had travelled a little way along the road a hare started from the thicket. They let the hound loose, and sent him after it. When he had chased the hare a long way, and had lost sight of the nobles, he changed again into a boy, and followed his father. The father and son went on their way; the money seemed inadequate. 'I must get some more,' said the son. They looked round; another party of nobles were pursuing a pheasant; the falcons flew after it, but for some reason could not catch it. The boy changed himself into a falcon, and sported with the pheasant in the air, just before the nobles' eyes. He brought it down; they were frantic with pleasure, and said to the peasant: 'Thou must sell this falcon to us.' The peasant again fixed a high price, to which the nobles agreed, and this they paid him in exchange for the falcon. The peasant went on his way. The nobles, after travelling some distance, sent the falcon in pursuit of another pheasant. The falcon flew after the bird, and, when he was out of the nobles' sight, changed into a boy and joined his father. The father and son went on with their money, but the son was not content with it. He said to his father: 'Come, I will change into a splendid horse; mount me, go into a town and sell me. But remember not to sell me to a man with variegated eyes; if thou dost, do not give him the bridle, for then, thou knowest, I shall not be able to free myself from his hands.' On saying this, the boy changed into a splendid, spirited horse, his father mounted and rode into the town. Here he saw many who wanted to buy it, but more eager than any was a man with variegated eyes. Whenever any one added a manethi (rouble) to the price, he added a thuman (ten roubles). 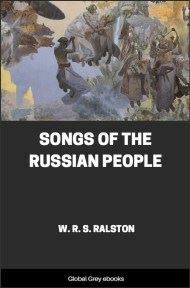 Love of money conquered the peasant, and he sold the horse to the man with variegated eyes. He bought the bridle with it, mounted the horse and spurred it on. He went, disappeared, and could no longer contain his joy that he had his pupil once more in his power. 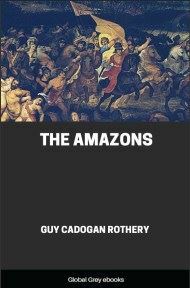 He reached home, shut the horse in a dark room, and locked the door. His pupil lay down and was sad; he thought and grieved, but there seemed to be no help for him; time passed, and he could contrive no means of escape. One day he noticed that a sunbeam entered the stable through a hole. He changed himself into a mouse and ran out. His master saw him, however, and pursued him as a cat. The mouse ran, the cat followed. Just when the cat was about to seize him in his mouth, the mouse turned into a fish swimming in a stream. The master turned into a net and followed him; the fish swam away, but the net came after him. Just when the net was going to cover him, the fish changed into a pheasant and flew away.